Could ‘cheap’ pork chops be the new braai favourite? The pork industry’s loss after the listeria outbreak. 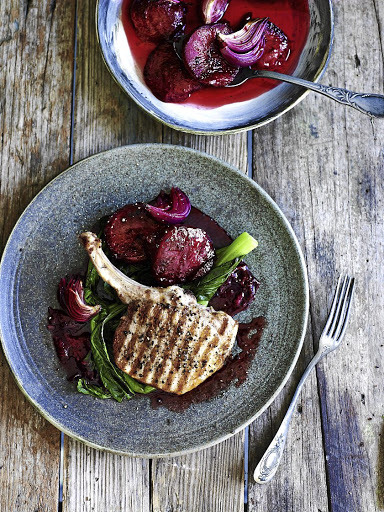 Home / BUTCHER'S BLOG / Could ‘cheap’ pork chops be the new braai favourite? The pork industry’s loss after the listeria outbreak. But the consumers’ reaction to the outbreak has led to a drop in prices for pork products while the prices of other meat products are on the rise‚ said Paul Makube‚ senior agricultural economist at FNB Agri-Business. The National Institute for Communicable Diseases indicated in a report on Sunday that 199 people had died from the listeria outbreak. The outbreak led to a drop in demand for cold and processed meats. Makube said in a statement that the pork industry had unnecessarily suffered a severe blow after the outbreak and added that the loss to the value chain so far could exceed R1-billion. Johann Kotzé‚ CEO of South African Pork Producers’ Organisation‚ told TimesLIVE earlier this month that the industry was losing R45-million a week and that the price of a pig had dropped between 40% and 50%. FNB said that the drop in pork prices could be positive for one group of people: consumers looking to save money. Prices for other meats are up about 6%‚ according to FNB. Additionally‚ FNB said a drop in the price of maize‚ a large component of livestock feed‚ would most likely keep pork prices low. Kotzé said earlier in the month that the drop in demand for pork would hit small farmers particularly hard. Arnold Prinsloo‚ South African Meat Processors Association chairperson‚ told Times Select earlier that the outbreak was costing the processed meat industry hundreds of millions per month.